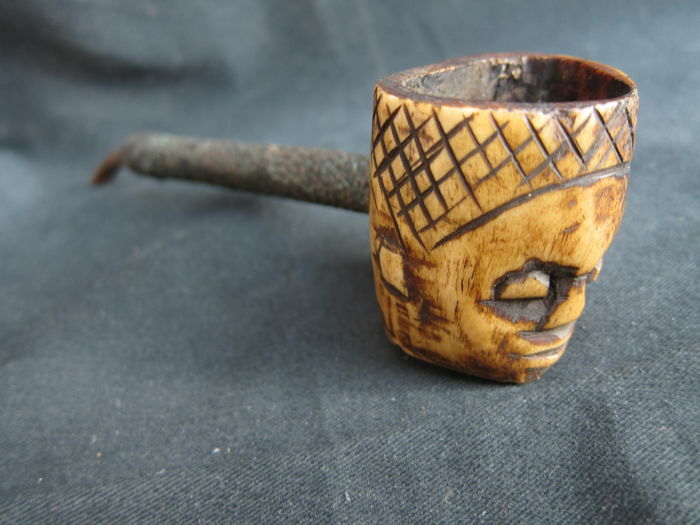 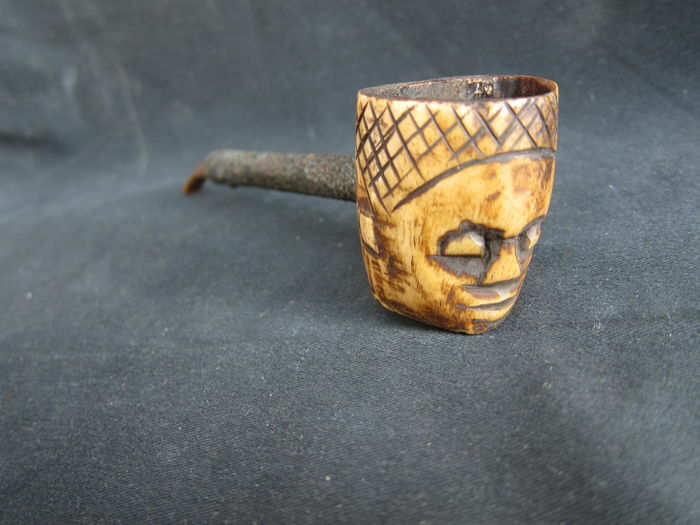 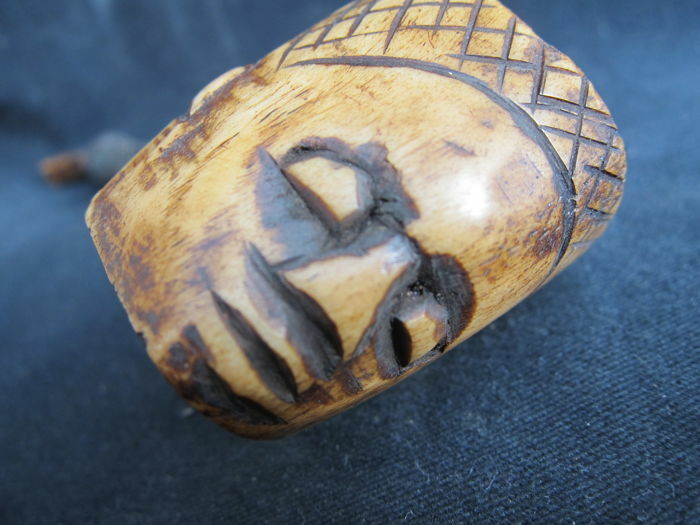 Beautiful pipe from the Bacongo area of the Yombe. 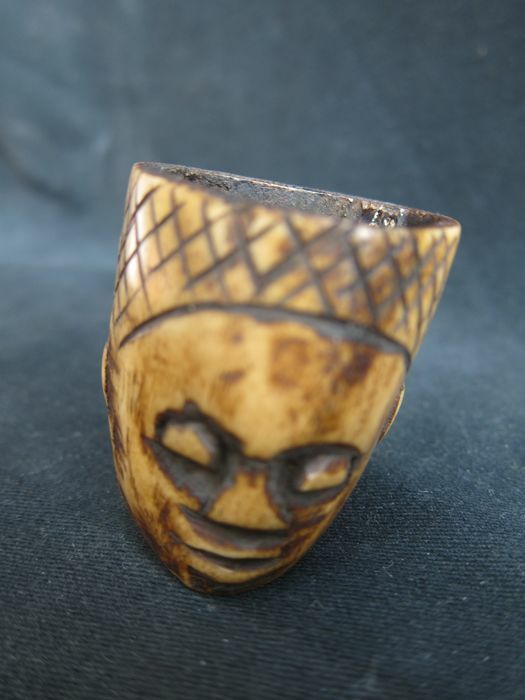 Very finely carved in bone, with attention to the finest detail. 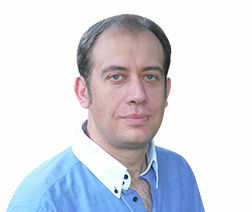 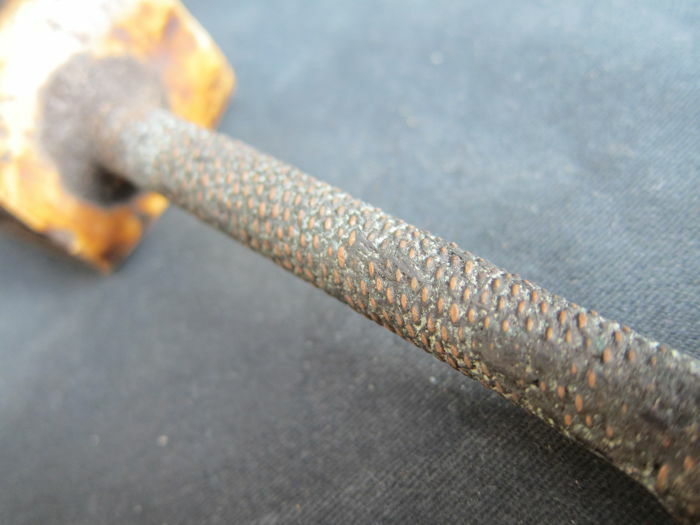 Beautiful strong expression, a deep patina and a good condition. 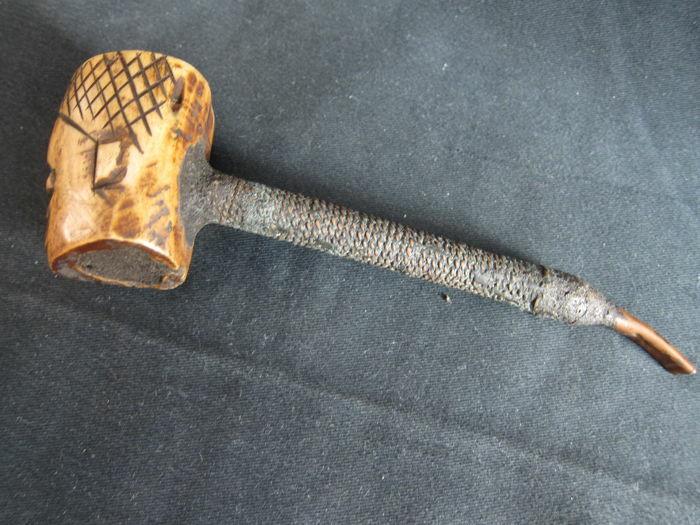 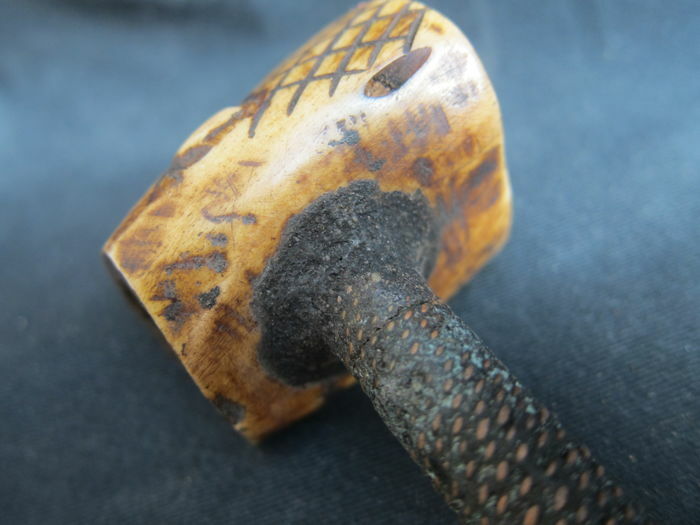 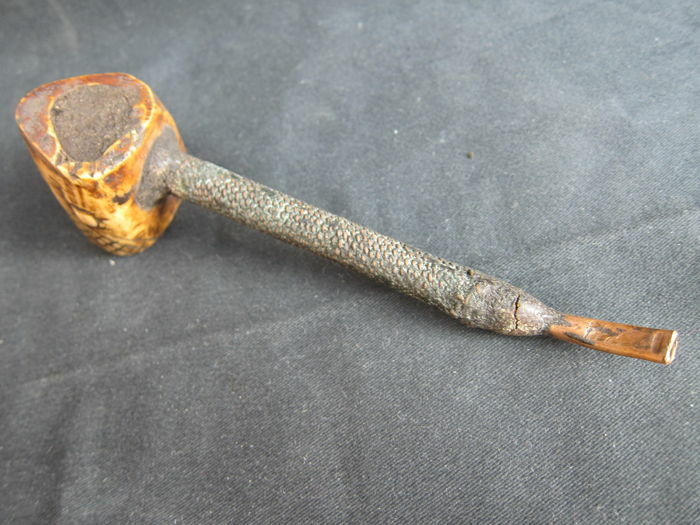 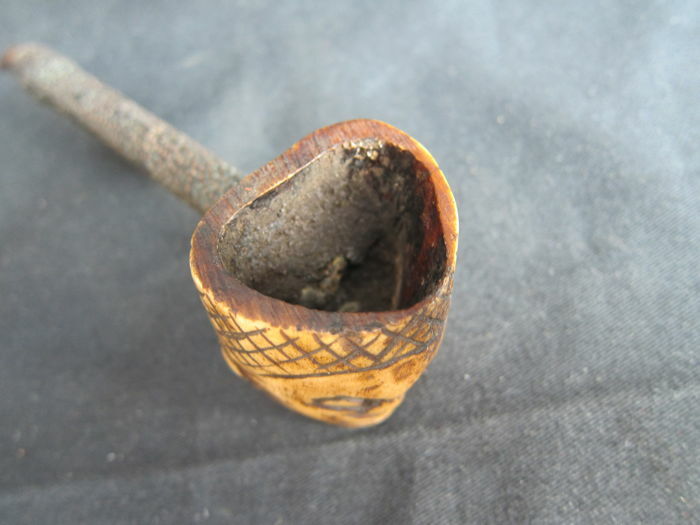 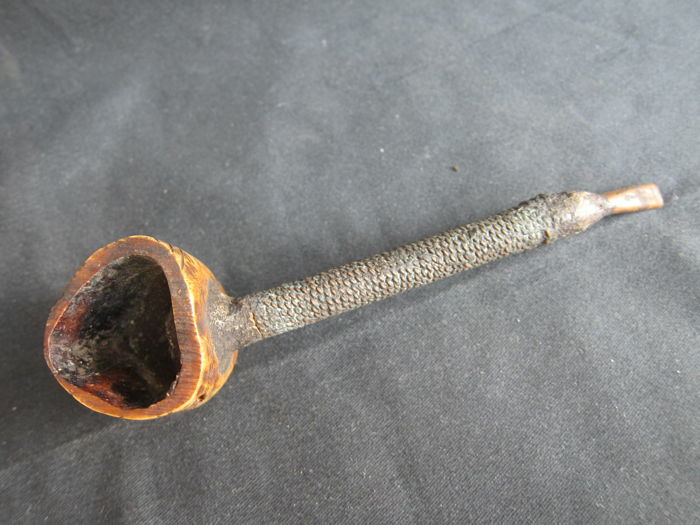 The pipe is made of a mouthpiece in copper and a bowl carved in bone. 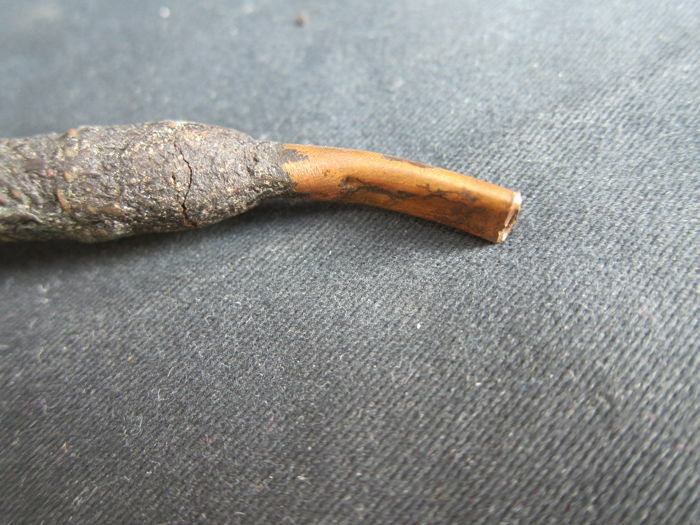 Length 16 cm, height head 4.2 cm.